Is this fifty shades of grey, it very well may be and we will double check with the paint designers. But Skater is, with this 50 feet of fulfillment (as Christian Grey says in Fifty Shades of Grey), “Raising the ordinary to extraordinary”. And extraordinary is the perfect word to describe this Skater beauty. We are kind of hoping they name it “Fifty Shades of Grey”. Seems perfect for something that can hurt you while looking this good and giving you pleasure at the same time. Saber Marine has taken their new 34 off to the 2015 Miami Boat Show. As we have been watching the build, it has definitely shown itself to be a best-of-the-best offering. To the Balsa Cored Head bulkheads, head walls, and a multitude of other places to save weight and give strength, it has been obvious this is no cookie-cutter offering from a cut and paste builder. Active Thunder had a presence at the Miami Boat Show this year for the first time in over 4 years. It was nice to chat with the owner Pat Haughey while looking at his latest 37 Xcess. As many of you are aware, our member Mike Sommers has a 37 Active Thunder in bright red with black stripes which he had at the Boyne Thunder Poker Run this past summer. While attending the Miami Boat Show last month, I took a break from the crowds and spent a day hitting some spots around Miami. 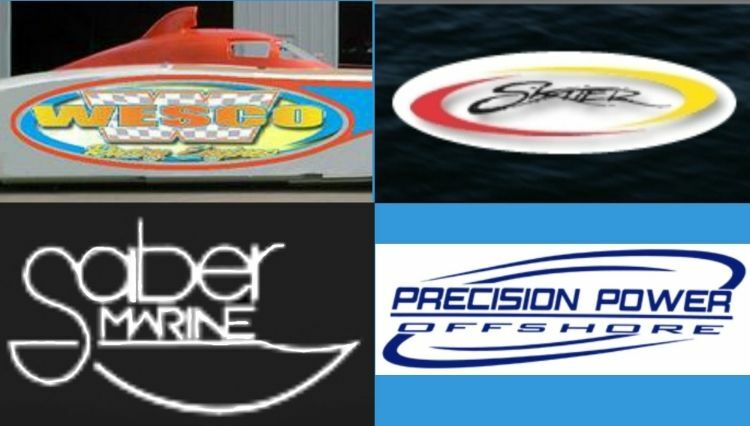 First on my list was the place that seems to be “ground zero” of the South Florida performance powerboating scene, Johnny Tomlinson’s TNT Custom Marine. One of the most respected teams on and off the water is Team CRC, sponsored by Columbia Rim Corporation. Their current MTI 850 Supercat has been a mainstay on the offshore racing circuit and has carried the teammates Tim McDonald and Mike DeFrees to more than a few podium finishes. Driver Mike DeFrees owns Columbia Rim and throttleman Tim McDonald is the owner of Oregon Custom Marine.